some background In 2011, Year 7s entered the Senior School at St Mary’s for the first time. This step was taken after a great deal of discussion, planning and organisation in order to make for a successful transition from primary school to high school. In 2010, new classrooms were built to accommodate our youngest Senior School students in what has become the Year 7 Centre. From 2011 to 2014, there were six Year 7 classes of 25 girls, with approximately half of them being new to St Mary’s. From 2015 this will increase to seven classes in order to accommodate more boarders entering St Mary’s at this level. A Year Filled with Wonder With the Year 7s entering the Senior School, the focus is placed on a rigorous academic programme, a strong pastoral care environment and an opportunity for girls to experience some of the many and varied extracurricular opportunities on offer. As would be expected, it is a much bigger and fuller life than primary school, with more challenges and demands. This is a wonderful time for girls to step up, reach outside their comfort zone and develop significantly, both personally and academically. Our girls love Year 7! Importantly, because girls come from diverse backgrounds â&#x20AC;&#x201C; ranging from very small country primary schools to large metropolitan ones â&#x20AC;&#x201C; being well-known, safe and secure in a new environment is central to the Year 7 environment. The pastoral care of each student is primarily the concern of the main classroom teacher, who meets with their class on a non-curricular level each morning, and weekly during Long Link. As the classroom teacher is also the primary educator for students, she/he often forms a close relationship with each student, helping and nurturing her through the school year. In addition to this, the Head of Year 7, school counsellors, the Chaplain and Dean of Students are available to provide pastoral care for students. Each girl has one teacher whom she sees regularly for at least two core subjects as well as a range of other subjects. There is much excitement as experiments become a focus in the Science laboratories. There are also additional Mathematics classes to enable teachers to provide further assistance in helping girls achieve their personal best in this subject. History is also a focus and Australia at War provides just some of the background for the visit to Canberra and Sydney in Term 3. And, of course, the girls love going with their English class to the stunning Elizabeth Myles Library, where they experience the joy of choosing a book and reading in an environment that encourages curling up and moving to a different world. A Year Filled with Wonder The girls also enjoy the expertise of a number of specialist teachers, be it in Art, Religious Education, one of three languages (Italian, French or Japanese), Drama and Physical Education. These are the forerunner to even more subjects in Year 8 – Media, Food and Nutrition, Clothing and Fabrics … the list goes on. Chapel is an important part of school life and the Year 7s regularly attend services led by our Chaplain, who is an Anglican priest. Chapel provides an environment in which to worship, pray, reflect and sing. It is an uplifting experience where heart and mind meet soul. That spirit also rises at interhouse drama, dance and singing. And, of course, TheatreSports, debating and the Years 7 to 9 annual drama production are all very popular and encourage the girls to develop into articulate and confident human beings. Through these many and varied activities there are leadership opportunities in the classroom and the house as well as taking part in a state-wide Leadership Conference. 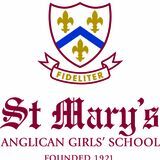 Over the years St Mary’s girls have become outstanding school leaders and have made an important contribution in wider society. House life is vibrant in the Senior School and all Year 7s are members of one of six Houses: Craig, Hackett, Lefroy, Riley, Wardle and Wittenoom. House spirit is strong at interhouse swimming, diving, gymnastics, cross country and athletics. It is all about fun and participation; students do not need to be exceptionally skilful or talented to make the team! A Year of Favourite Things What do the Year 7s remember most about their year? The girls love Australian history, but they also love being on tour together. This is the absolute highlight of Year 7. Itâ&#x20AC;&#x2122;s a time of feeling a little nervous, very excited, and keen to CAPAF Day! make new friends and a great start to Senior School. An opportunity to bake and decorate cakes, enter their favourite photography or artwork, be inspired at the Wearable Art parade and feel so proud to be part of their Their teachers! huge house choir. Our 7s love their teachers â&#x20AC;&#x201C; they find them caring and inspirational. Senior School has definitely arrived. This happens early in Term 1 and is held at the Lady Treatt Centre for Leadership and Learning at Metricup, located between Busselton and Margaret River. The girls come away feeling confident about being in Year 7 and proud of their beautiful outdoor campus. You are invited to visit us We invite you to visit St Mary’s on one of our open mornings and see for yourself why Year 7 provides an outstanding start to life in our Senior School. We also encourage you to visit our website for a virtual tour and detailed information about life and learning at our exceptional school.